Ever wished to get your hands on that popular game on the droid store but didn’t because it costs too much? Been disappointed that you can’t use advanced features on a certain app, because it is way out of your budget? Well, there maybe a solution to this problem. As an Android user, you’re perhaps well familiarized with the Play Store, which is essentially the Android app market by Google. This official app marketplace contains a wide variety of apps across categories like education, productivity, music, games, photos, and more. The apps work across various Android phones and tablets. Though the number of apps on the Google Play Store (Android’s official app store) may seem huge, the options under a particular category may still appear to be scarce; especially, if you’re on the lookout for free, quality apps. As per research, as many as 40% of the apps on the Play Store are paid; only the remaining 60% of the apps can be downloaded for free. And while it may not always be true, free apps seldom offer quality in terms of features and interface that you get with paid apps. Even if you didn’t mind paying for those apps, wouldn’t it be better to try it out first? Plus, who wouldn’t like to have more choices? 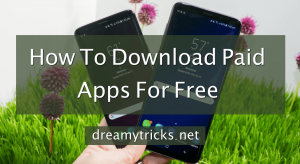 Therefore, we’ve listed out 5 software/methods that you can use to download paid apps for free, using your Android device. Note that all of the following apps would require you to get their APK file from a third party source (since they’re not official). 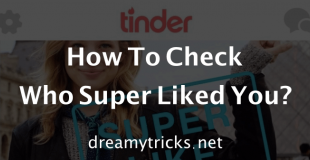 Hence, you might want to adjust your settings by navigating to Settings>> Security, and then finding the app installation permissions from unknown sources, and turning it on. 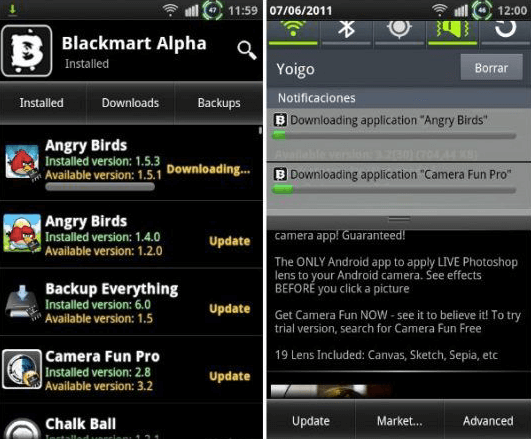 As the name suggests, Blackmart Alpha is the ‘black’ market of Android apps. Basically, it is a solid alternative to the Google Play Store, boasting of an even more extensive catalog of apps including games and other categories. What’s more? Blackmart Alpha has a user-friendly UI that’s super easy to figure out. Unlike the Play Store, this app does not require you to have a registered Google account in order to access the apps. However, the one thing that they do have in common are user-ratings. And as you know, user-ratings help you to tell quality apps from the poorly made ones. 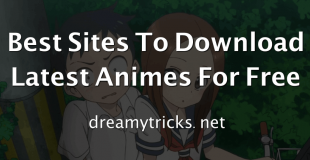 Unfortunately, there’s no official site from where you can download this software. Download Blackmart apk from it’s official website. 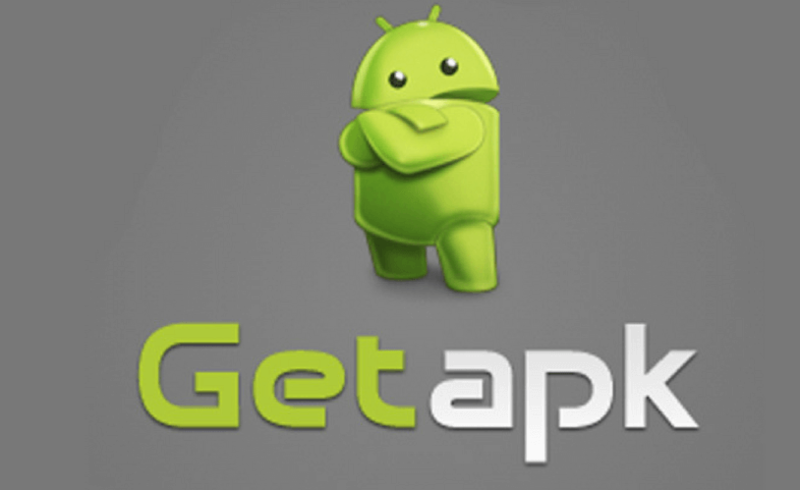 Once the apk file has been downloaded, install and launch it on your device. Now, you can look up apps using the search bar. If you find what you’ve been searching for, simply click on it and press the download button. If you don’t have a particular app in mind, you can simply browse through the categories, just like you normally would on the Play Store. You may also like best free Android music downloaders 2018. 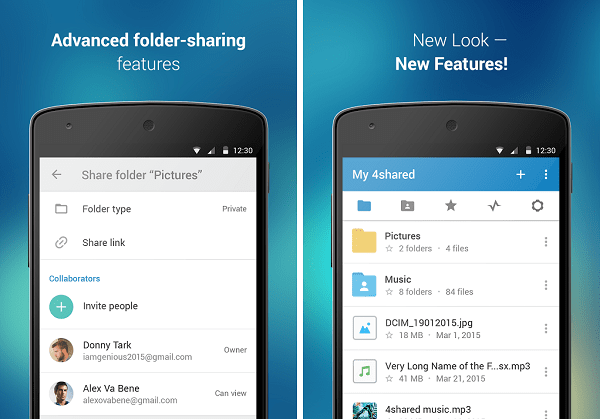 4Shared is one of the longest-standing apps that primarily serves as a digital drive, enabling users to share media with friends and family. But that’s not it! The service allows you to download content (via cloud) such as Android apps and media including pictures, music, e-books, pdf files, videos, and Windows software programs. 4Shared looks a lot like Gmail; so you can be sure that the UI is fairly good. However, it is still not as sophisticated as the latter and you’ll notice that it is slightly text-heavy. Nevertheless, its pretty decent for a free service. In case you’re wondering how it works, since users are permitted to upload and share media, most of the stuff that is available for download is also user-uploaded and not offered by 4Shared itself. Because of this modus operando, 4Shared, unlike Blackmart, is considered to be legal and can be downloaded off of the Play Store. However, the ad-free/pro version is not available on the Play Store and needs to be installed through a 3rd party apk file using the steps mentioned below. Note that the downside to this app is that since the content is user-generated, it may not always be authentic. Yet another awesome alternative to the Play Store, 1Mobile Market features over 1.6 million games and other apps, plus a repository of 3.1+ million wallpapers, and 0.6 million user-uploaded photos. Similar to the Play Store, the apps are categorized as free and paid, except, you don’t have to pay a dime to get the paid apps. It is only meant to make it easier for you to find apps. 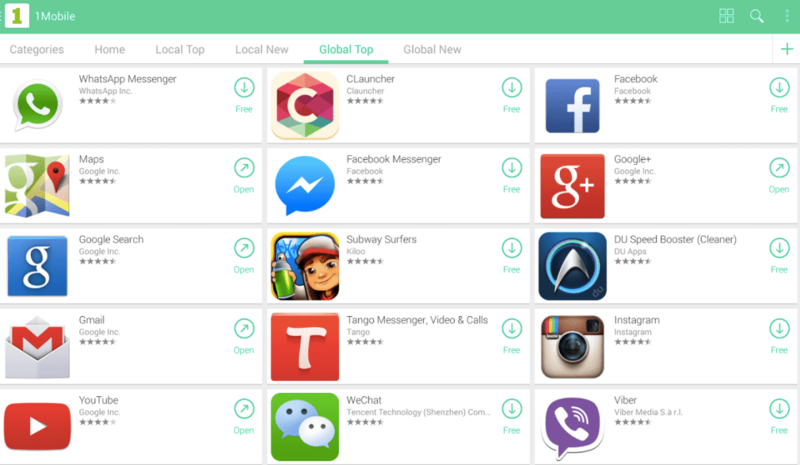 It also has other categories such as “Featured”, “Local New”, “Global Top”, etc. To download an app, all you have to do is click on it and tap on the download button. It’ll automatically start downloading, much like the Play Store. What’s more? You’ll also be prompted to update apps as and when a new version becomes available. Mobogenie Market is another name that commonly pops up on articles talking of Play Store alternatives, and for good reason. This service allows users to have a certain control over your Android device in that it let’s you manage data, right from your PC. Mobogenie sports a neat & snappy interface that is super easy to navigate. You’ll find tabs like “Tools you may like”, with several options such as Manage SD card, backup data, and restore and install apk. There’s also a “Mobile Phone Management” tab that you can select to manage your contacts, apps, music, photos, videos, and SMS. And then of course, you can get tons of media using this app market from media categories located at the top such as apps, games, wallpapers, ringtones, and YouTube videos. Additionally, it also offers e-books! 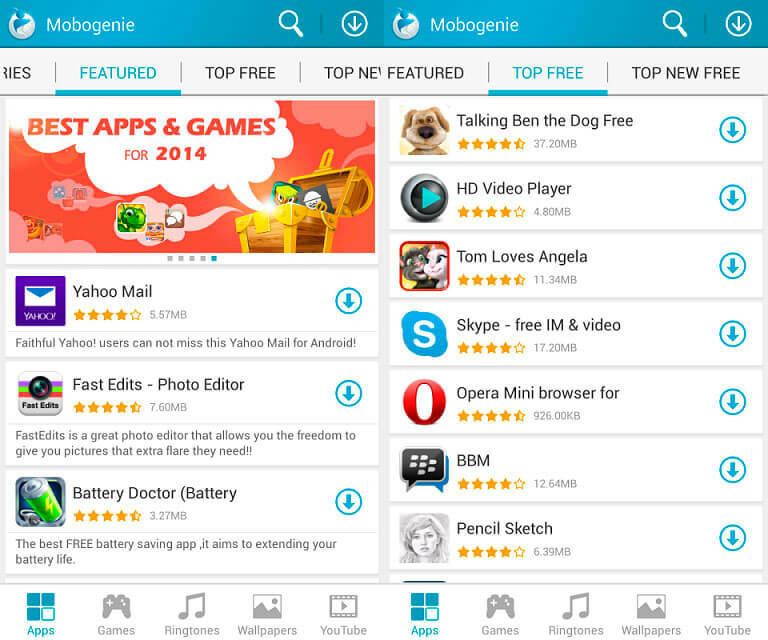 Similar to 1Mobile, the Mobogenie market also has a free as well as a pro version. Initially, both the versions were available on the Play Store. However, the pro version was later removed due to policy violations of the Play Store. The free version isn’t really the original Mobogenie app and therefore, we’d recommend that you download its apk file for the complete version. Earlier, Mobogenie had its own website from where you could download the app. However, it doesn’t seem to work anymore. 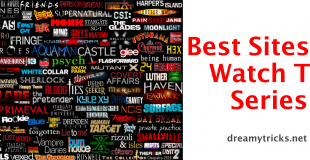 You may also like free movie apps for Android. Another one of my personal favorite, GetAPK serves as an exemplary alternative to the Google Play Store, featuring thousands of apps at your disposal. These apps range across a legion of categories such as Books, Education, Health & Fitness, Finance, Games, Lifestyle, Music, Photography, Sports, and Travel. The only thing that I didn’t like is how clunky the interface is. However, once you’ve got that figured out, you’re going to love it. Download Apk file from the given link. Launch the app, and search for the app you wish to download. You could also browse apps using the categories mentioned above. One thing that I really appreciate about GetApk is that it offers not only the latest version of its apk file but also the previous ones in case you need to downgrade due to compatibility issues. The short answer to this is NO. To elucidate further, these apps all offer full versions of both, the free and paid apps that you can otherwise find on the Play Store, for free. This violates the Google Play Store policy. Its also why you wouldn’t find them on the Play Store officially, except 4Shared, or free versions of the services. Since the full versions are available for download via 3rd party sources, your device is not completely safe from malware and other threats. If you ask me, I’d say its best that you get your apps from the Play Store itself and use the aforementioned apps only if you really need an app that is too expensive on the Play Store. If you want to enjoy the experience and the benefits of paid apps, without spending too much, this article will surely come handy. But please bear in mind that this article is purely for your reference, to educate you about the topic in hand. Since many of these apps are considered as illegal in many regions, its best to stick to the Play Store as much as possible. Also, all versions of apps available outside of the Google Play store are considered unofficial and might put your device at risk. We recommend downloading Android apps only from the Google Play store. Techworm shall not be responsible for any consequences. 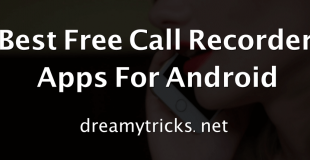 Keep visiting our blog Dreamy Tricks to get latest tech updates.